There was little change for euro against the dollar yesterday, however, Goldman Sachs believe that the euro will fall in 2015. With the US economy looking strong and rates set to increase, combined with euro weakness and the potential for more QE from Mario Draghi, could the markets challenge $1.15 or has this already been priced in given the recent declines? 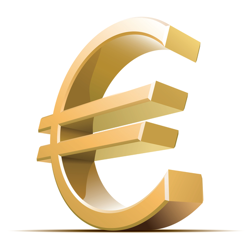 The euro/dollar currency pair mimicked stock markets yesterday as investors weighed up the FOMC minutes. An initial rally took place, with the market spiking to $1.26, but it was quick to slip back down and close near its opening levels. Overall momentum still looks to be to the downside as the dollar is holding strong, especially against the Japanese yen. The dollar stalled on Tuesday ahead of today's FOMC minutes. CFD investors seem to be a little uncertain about the Fed's perspective on the economy and the likelihood of an interest rate rise in 2015. The euro dropped by more than a hundred points on Monday as Mario Draghi discussed how the ECB would use unconventional methods to boost the economy if needed. The forex market continues to believe that one of those options could be the purchasing of sovereign bonds. The dollar followed last Friday's sell off with a weak beginning overnight, in what seems to be a clear bout of profit taking. With EUR/USD currently trading at $1.2550, we are seeing some resistance at $1.2560/70. If the euro can push through here, then further advances would be likely.